We wish you could, but you can’t stay here forever! Arrive for check-in no earlier than 2:00 pm and no later than 3:45pm on the opening day of your session. All luggage packed by camper–each camper’s belongings will go to their specific cabin. All medications in original container and ready to be turned in to the nurse. Screening with the medical volunteer. The nurse will collect any medicines you have brought and review your health form. At this point it is time for hugs and kisses goodbye! Short goodbyes are best to show your children the confidence and trust you have in them being at camp and to help them focus on the fun that lies ahead. All sessions conclude at 8:30am after breakfast. Campers must be picked up no later than 11:00 am. At departure each camper will receive their copy of the all camp photo. Long-standing camp tradition is for campers to sign the back of each other’s photos. New tradition is lots of selfies. Camper luggage will be sorted by cabins in the parking lot. After collecting all your camper’s luggage, be sure to check out with their cabin counselor. 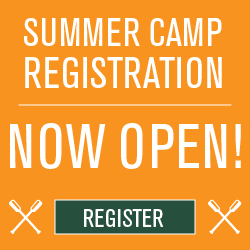 Contact the Camp Hardtner office to discuss the possibility of these types of arrangements as soon as you are able.